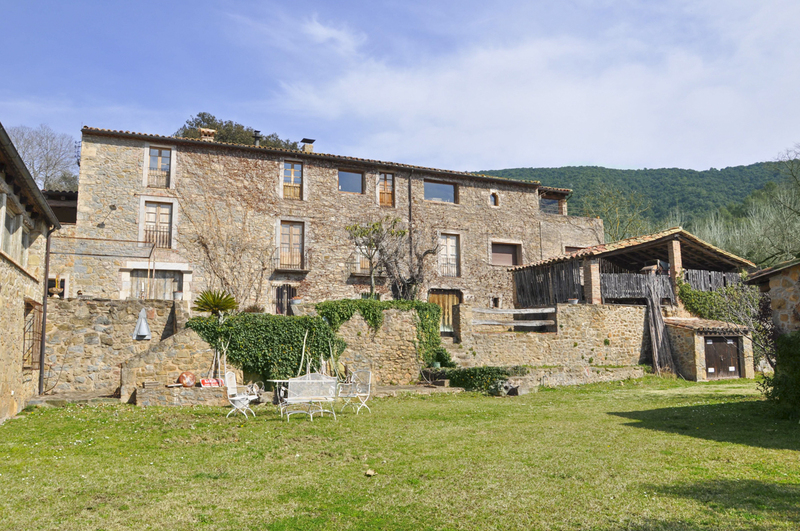 Enjoying a hillside setting above Llora, this old and quite spectacular Catalan country house is about fifteen kilometres from Girona. 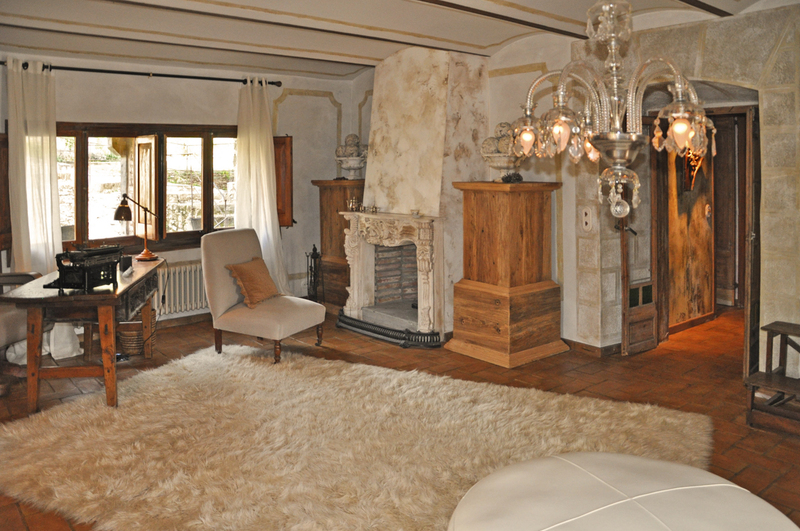 It will provide you and your holiday guests with luxurious privacy and real escapism. 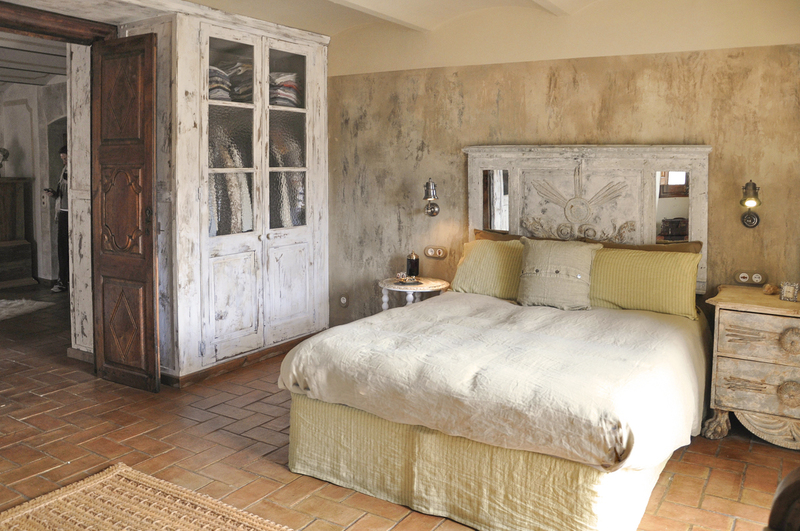 Casa Gerone sleeps up to twelve guests and is dripping with old world charm. 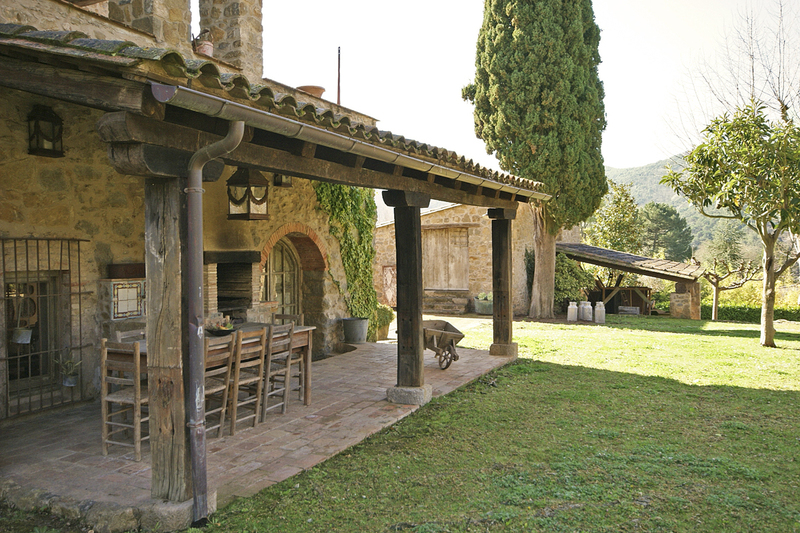 The generous outside space will entice everyone, young and old, to explore the garden, outbuildings, terraces and courtyards. 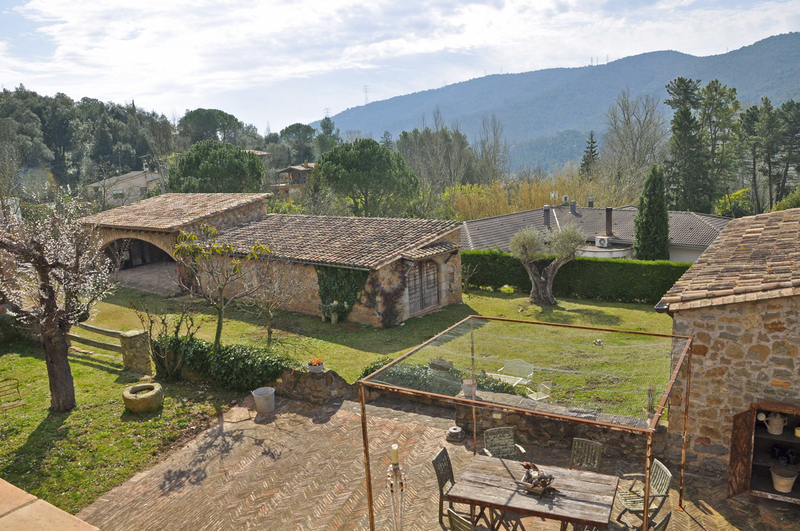 While you’re here, admire the beautiful mountain views surrounding your private holiday home. 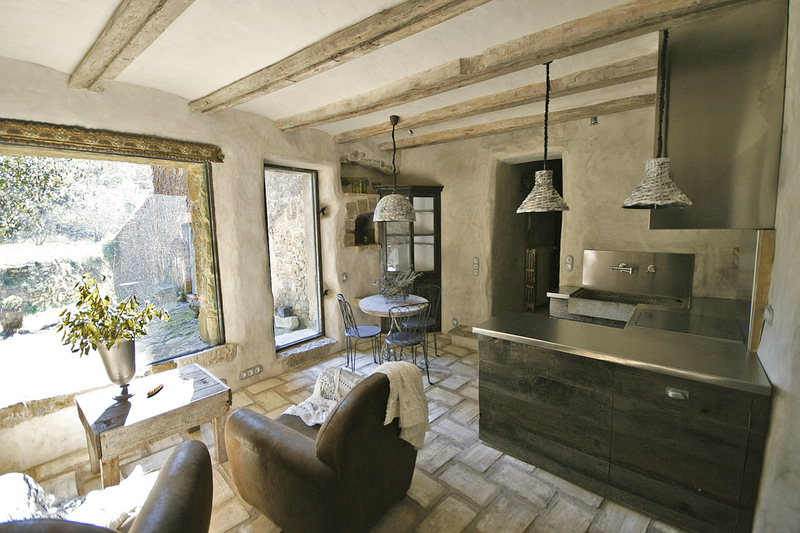 Move inside, and tasteful, modern décor meets old stone. 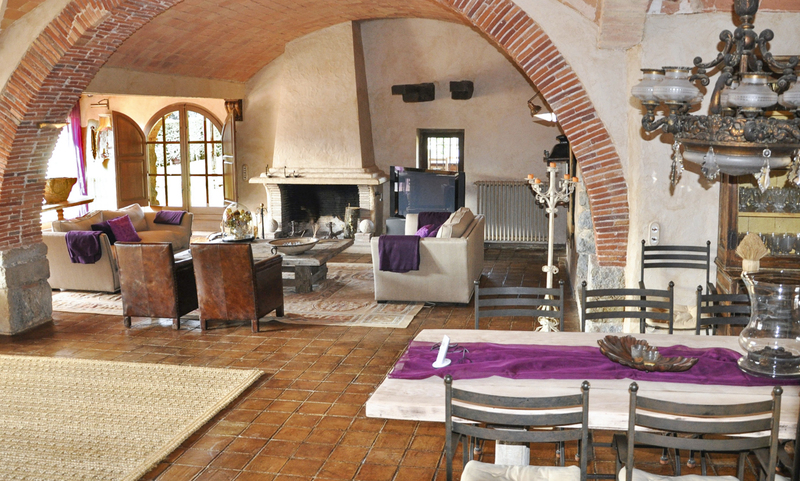 Ribbed, vaulted ceilings, ancient brickwork and rustic farmhouse furniture blend to give you a warm welcome inside luxurious Casa Gerone. 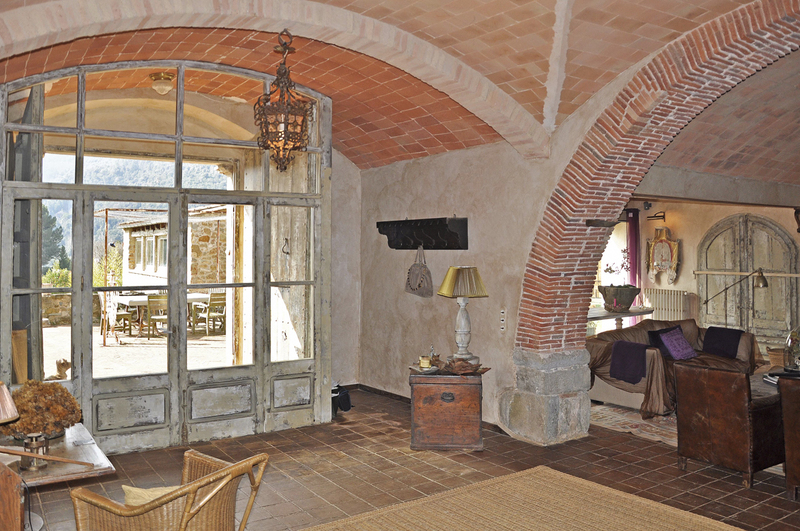 Large arched windows let in plenty of light on the ground floor, where you’ll find the open-plan living rooms, dining rooms and modern kitchen. 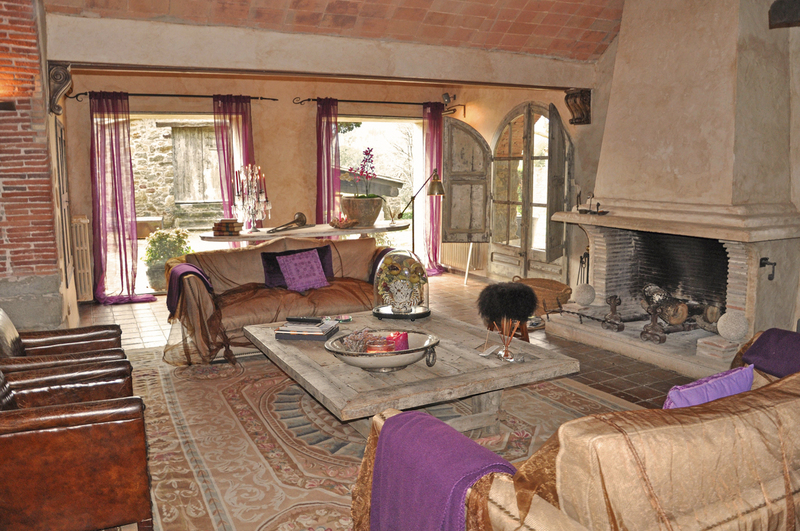 Everywhere you look there are charming nooks and cosy spaces to sit, relax, dine and explore. 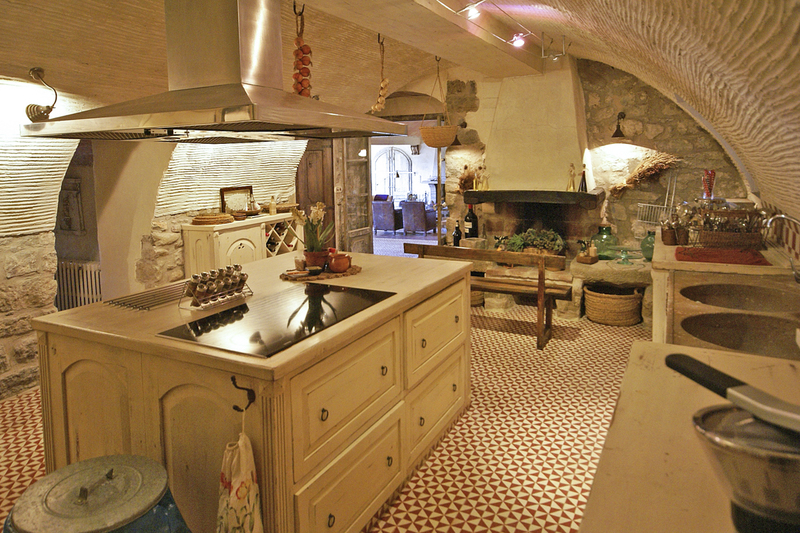 There is more than enough space for a large group of friends or two families travelling together to make Casa Gerone their own. 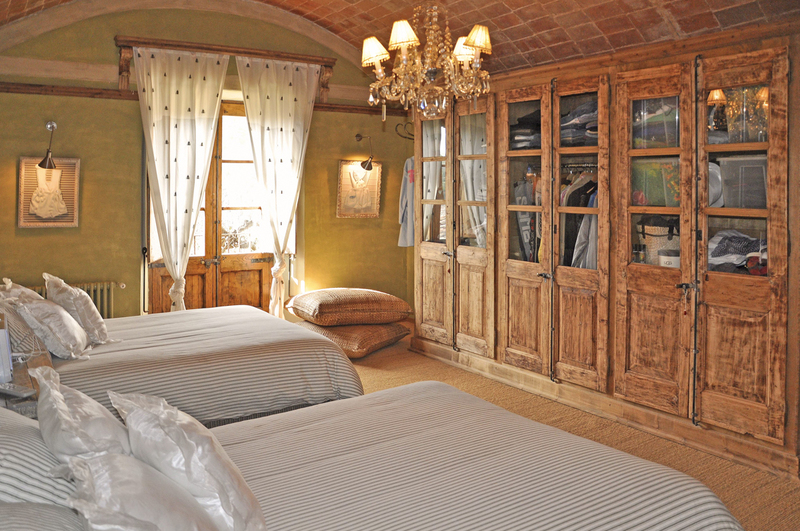 All sleeping accommodation features period furnishings and opulent decoration. 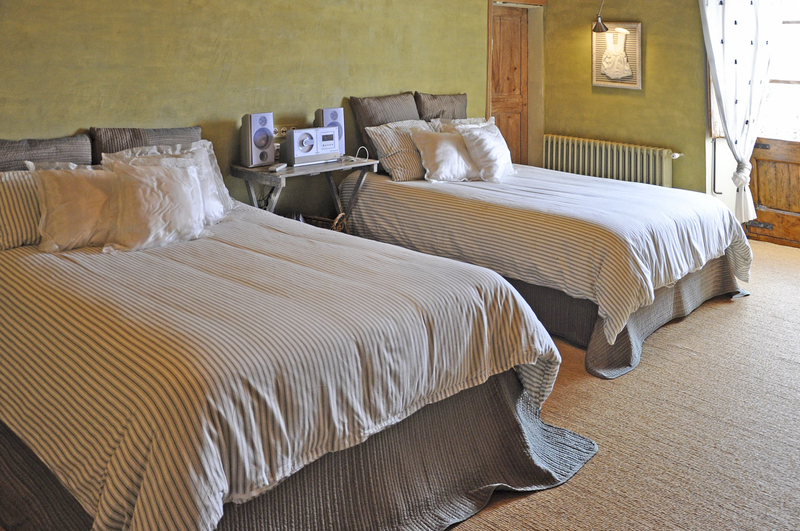 There are two double beds and four kind-sized beds across the five bedrooms. 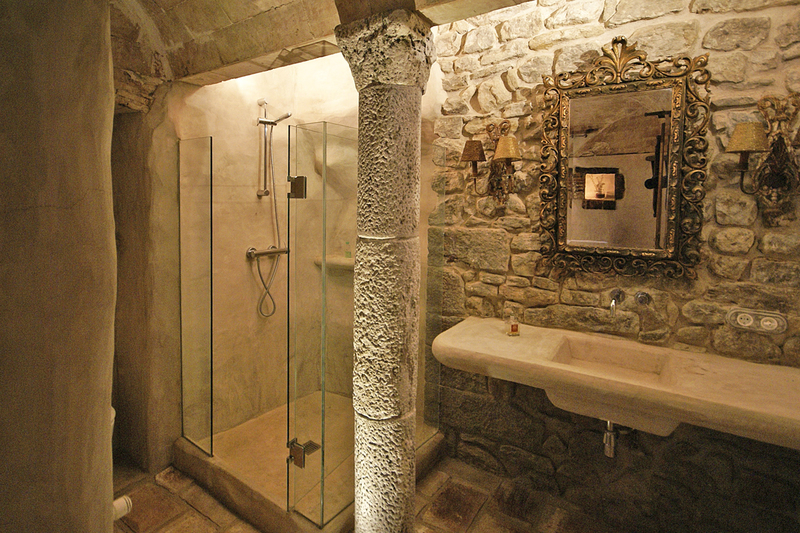 The five bathrooms make the most of the fascinating spaces, and you also have luxurious modern facilities. 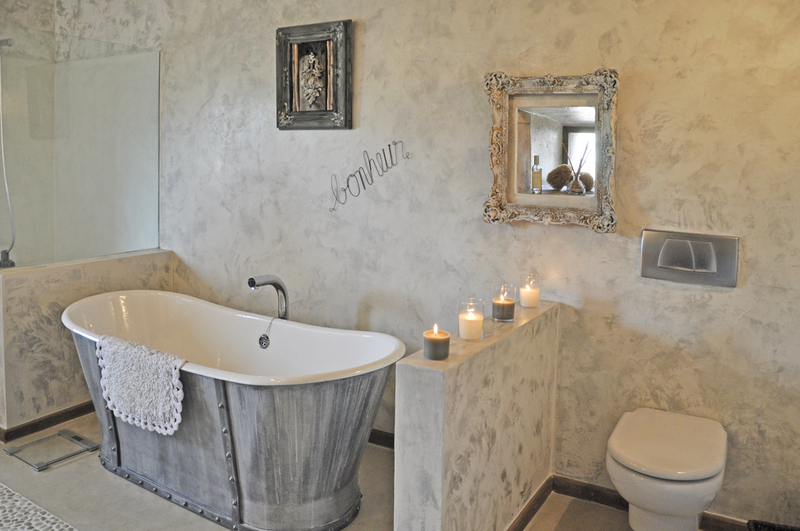 The five bathrooms comprise one separate toilet, three showers and one bath. 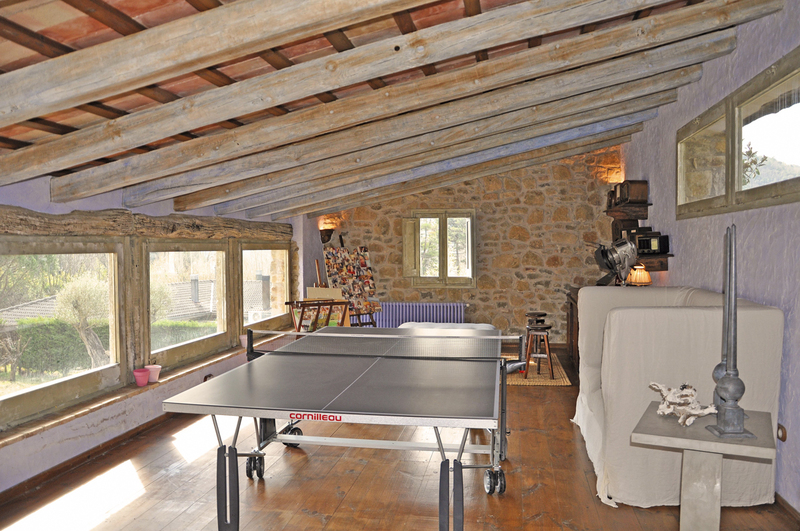 Casa Gerone also features a second kitchen and table tennis on the upper floor. 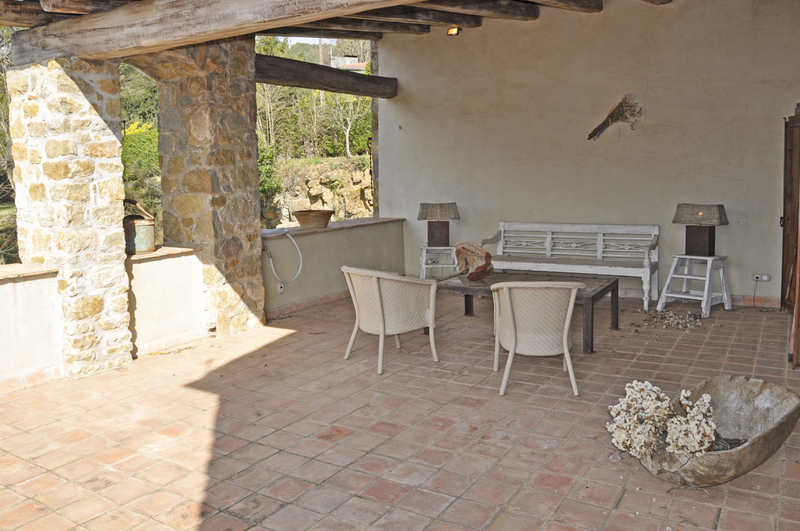 Back outside, discover your covered terraces where dining al fresco is made easy with a built-in barbecue. These lead out onto the extensive gardens where children can run and play, and mature trees provide cooling shade for a siesta. 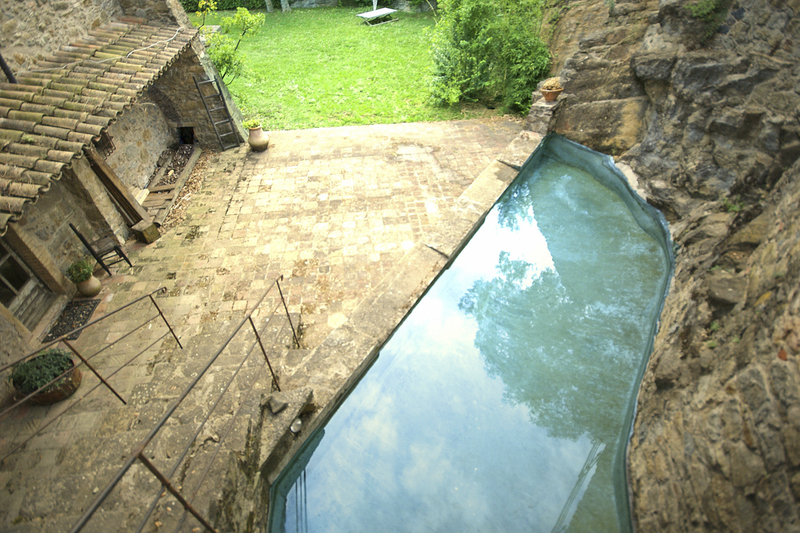 Or try the inviting water of your private pool to escape the Spanish sun for a while. 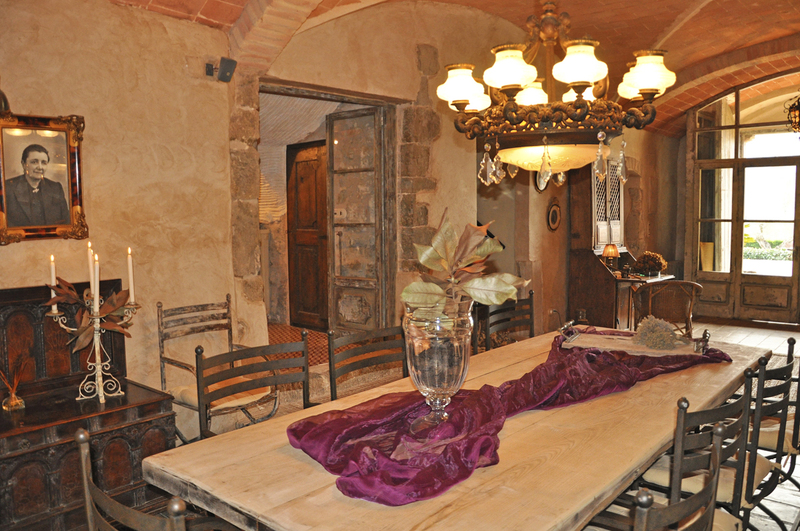 You’ll find it nestled inside your courtyard within Casa Gerone. 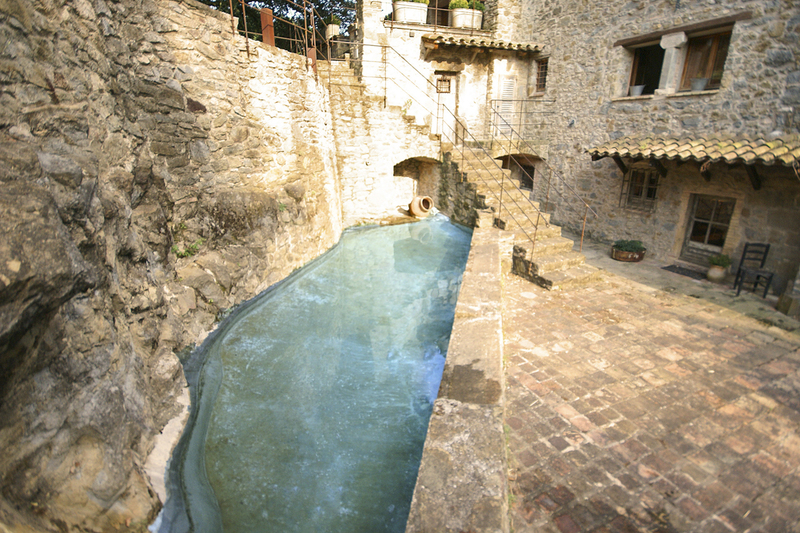 If you’re after a unique swimming pool experience, where you can take a cooling dip and have fun, here you have it! Just being at Casa Gerone is an experience. 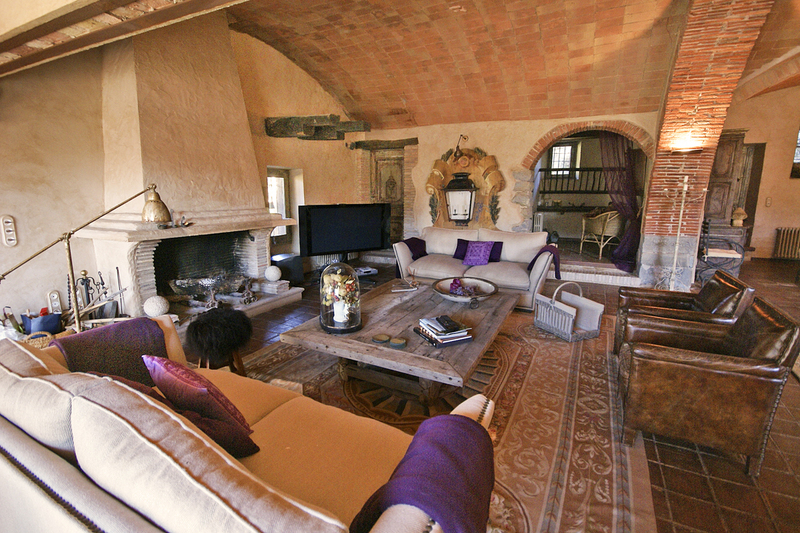 This curious, luxurious house is an incredible base from where you can explore your corner or Catalonia. 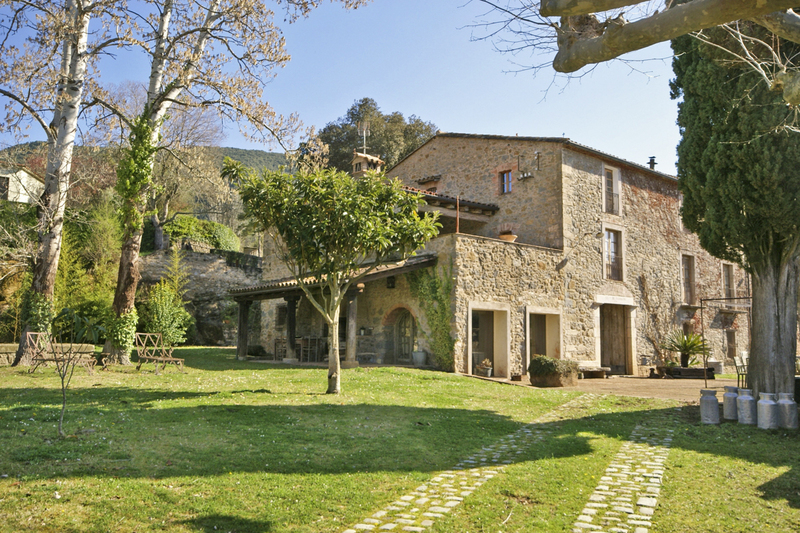 Located in the hills above the village of Llora, you’re only fifteen kilometres from Girona. 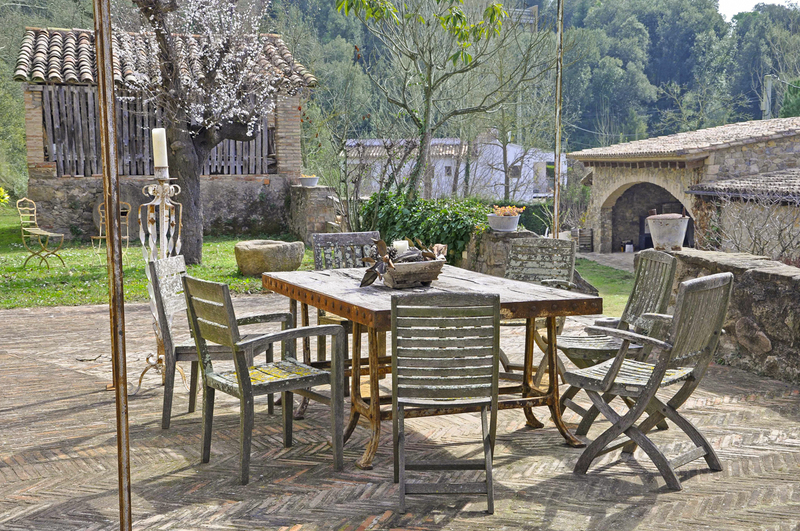 Hire bikes or take a hiking trail to discover your immediate and picturesque countryside, or travel to historical Girona for a day’s sightseeing. Make sure you sample some of the Catalan specialities while you’re here, with many fabulous restaurants serving the best that the sea and land have to offer in this abundant area. 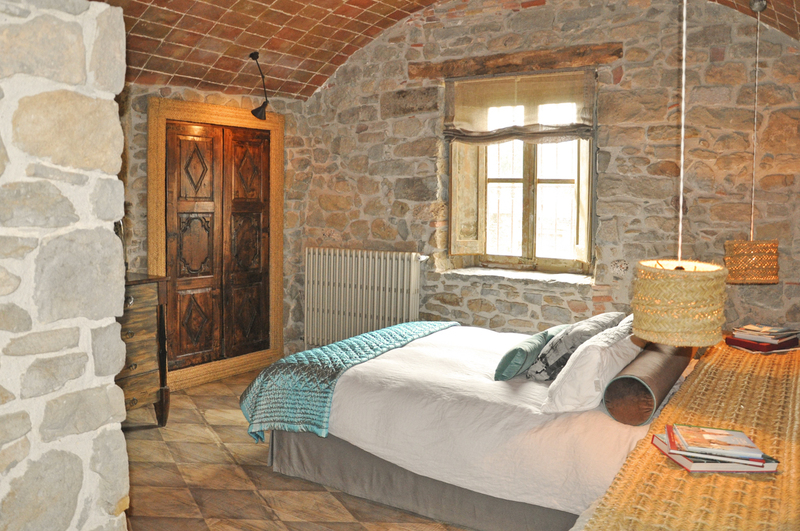 Perched on a pretty hillside above the small village of Llora, Casa Gerone enjoys a peaceful, rural location. 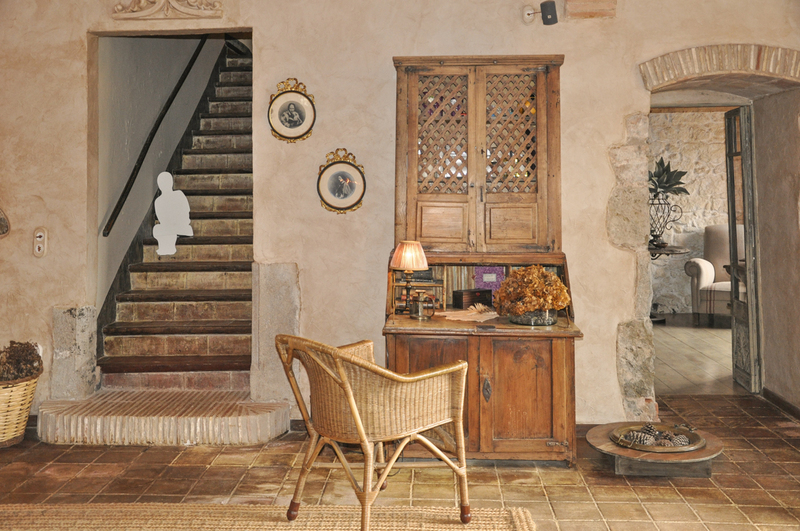 Staying in this incredible old house, you have truly escaped to the Catalonian countryside yet you’re within easy reach of Llora’s restaurants, shops and other amenities. 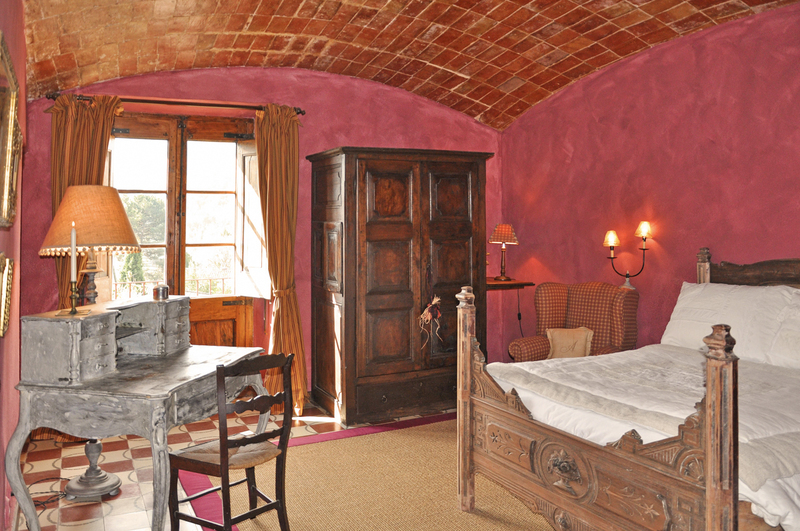 Twenty minutes in the car, and you’ll reach the major Catalan city of Girona. Boasting so much history and culture, this colourful city is a popular destination for tourists across the region. If you wish to visit the ancient cathedral, you’ll need to scale the eighty-six steps leading up to it first! The old fortifications date back to the Roman times and have been a key site of the city’s defences against an incredible twenty-five sieges since its Iberian beginnings. 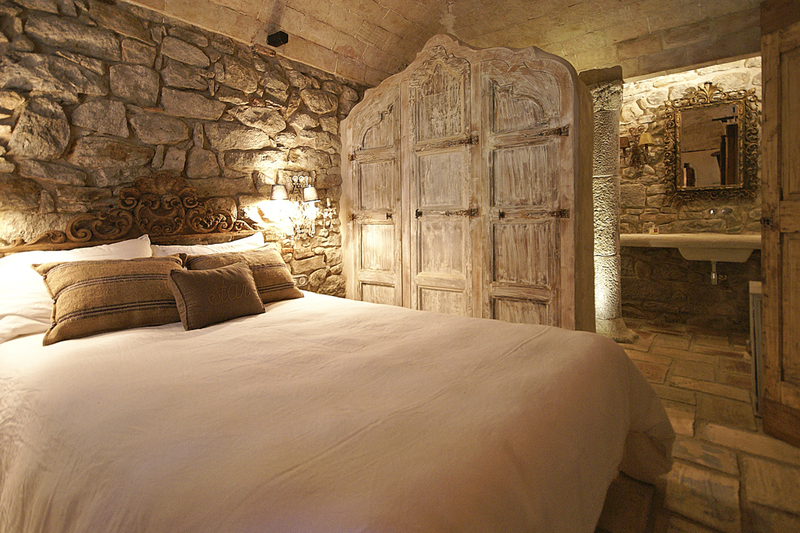 You may need more than one trip to Girona, as there’s so much to see and do. More highlights include the narrow, winding streets of the Jewish quarter, which date back over one thousand years and look out for the Eiffel bridge; constructed by Gustav Eiffel just before his infamous tower. The river Onyar flows through Girona and along its banks is where you’ll find the delightful coloured houses, often used to characterise this city in photographs. Despite being almost an hour’s drive away, it is worth the journey to reach the vast choice of fabulous beaches along the stretch of Costa Brava coastline north of Barcelona. 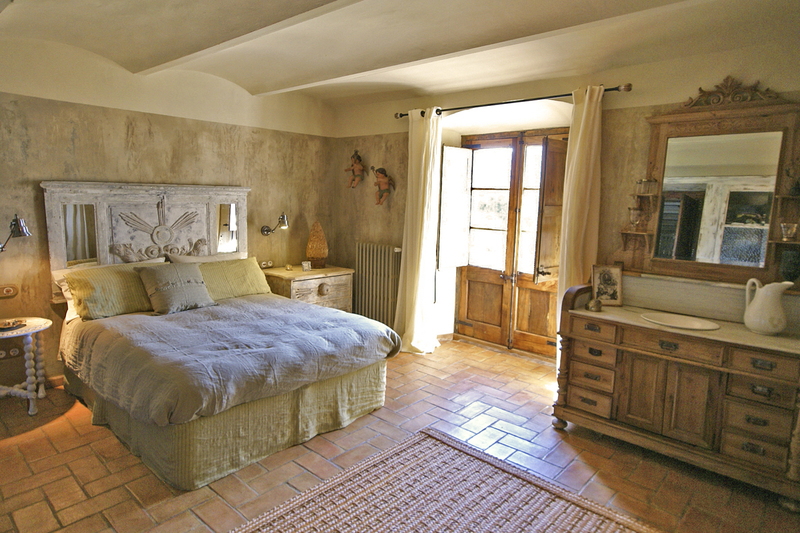 Choose from Platja d’Aro, Lloret de Mar, Tossa de Mar plus plenty of lesser-known seaside destinations for soaking up the sun and swimming in the Mediterranean Sea.